Dylan went to his first halloween party yesterday. We went to hang out with our Kangaroo Kids group for the afternoon for a costume party with the babies. All in all there were 20 babies at one point and 19 mommies (one girl has twins)! 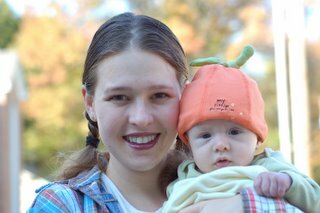 Dylan went as a peapod and I went as a farmer-girl. In the pictures he is wearing only pumpkin hat because he gets too hot in his costume (and quite fussy too). We had a good time visiting with our friends. 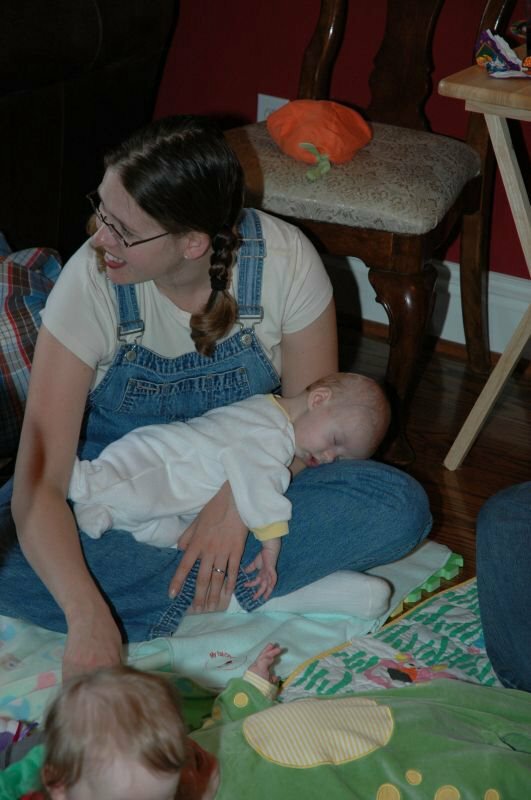 And wouldn't you know, amongst all the chaos, Dylan even took a nap!